Speak again, Cordelia: A peace of mind from within another concrete jungle. A peace of mind from within another concrete jungle. 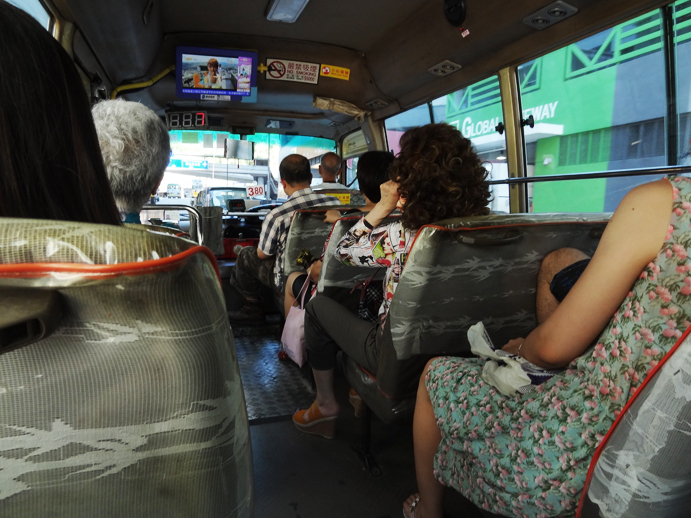 A few weeks ago, I took some time during the Obon holiday to go back to Hong Kong for a brief visit. As it happens, a strong typhoon with a storm signal of 8 hit Hong Kong a day after I arrived. That in addition to my dad being extremely busy with work, honestly, I didn't really go out much at all. I spent about half the time in the house alone. Despite the lack of events, however, I appreciated the short trip very much. Lately, I've been missing Hong Kong more and more, and all the little daily things life there offers. In fact, about two months ago, I woke up in the middle of the night with a sudden craving for cha siu (which I did satisfy 2 weeks ago). I seem to only ever want things when they're not easily within reach--but then again, that's not such a strange thing. I did come back with the regret of having forgotten to eat my trip's worth of gai dan jai (鷄蛋仔, or apparently called "eggette" in English according to some quick Googling). Someone asked me recently, when I showed them a picture of Hong Kong, how the buildings can be so tall without toppling over. I redirected the question at my dad sometime during my time back, to which he said, "I really don't know." Oh well. 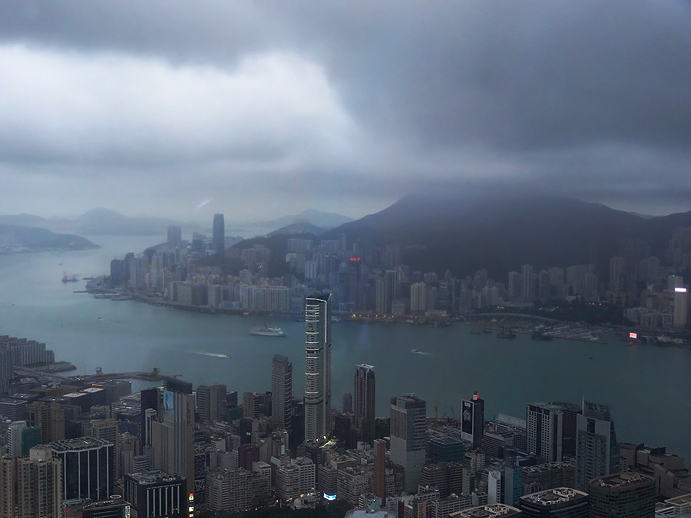 Let's forget about the how and enjoy the view from the 110th floor (yes, where I took the stormy picture above). In any case, the common Hong Kong scenery and fleeting reunion with family gave me an odd peace of mind. The truck-ridden streets. 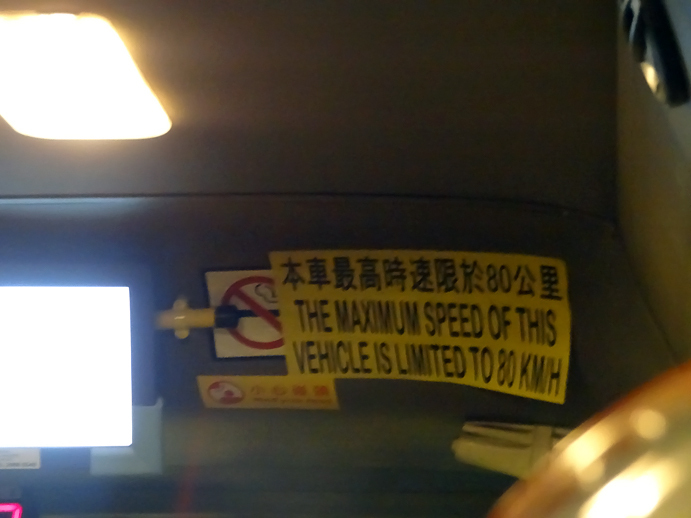 The mini death buses (with a speed limit of 80km, much to the dismay of their drivers) with no specific stops. 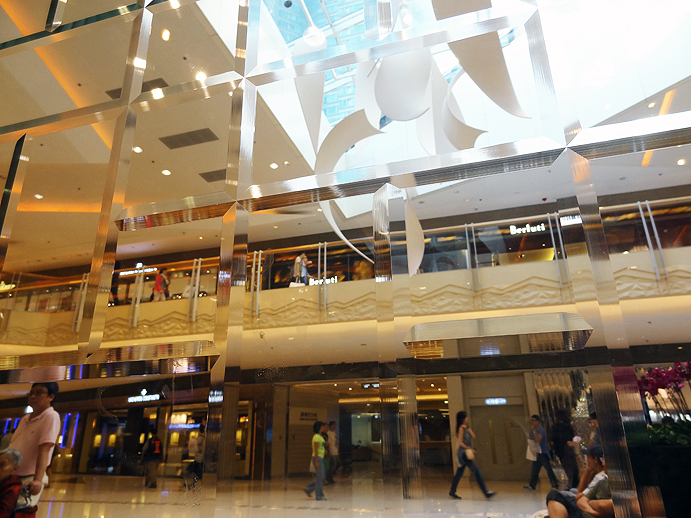 The high-end shopping malls. The contrast between the new and old buildings. The cold air-conditioning. The English-Chinese bilingualism. All the little things. And I thought for the first time to myself, I'm so lucky to have been born in Hong Kong, and to be able to go back whenever I like. I can't believe it's only been a little over a year since I moved away from Hong Kong. 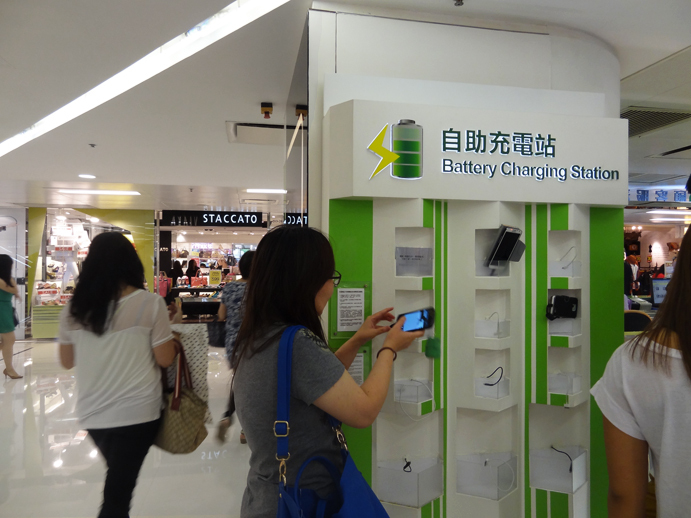 As it goes, you can also rent a portable iPhone charger from the information desk with a deposit of $300 HKD, refunded to you upon your return of the charger, so you can continue your shopping while your phone is being recharged. Brilliant! 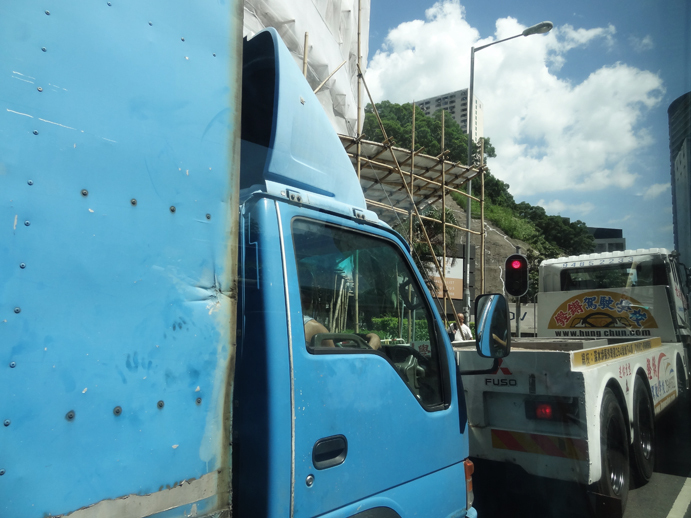 And so incredibly typical of Hong Kong.